It's that time of year - the time when everybody is scrambling to find that perfect gift for everyone on their list. I'll be honest with you. I am extremely thankful that I don't have to get all caught up in that! Shopping is just not my thing, and to have someone tell me that I must buy something for everyone, and I must have it all done by a certain time would just make me crazy. I'd probably curl up in a corner with no idea how to even get started, let alone get it all done. 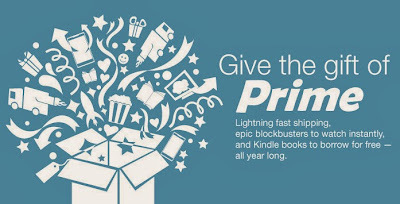 That being said, here's a gift idea even I could get behind - a gift of Amazon Prime. First of all, this is a gift you can buy, and send (Amazon will send your gift recipient an email on the day you choose, along with redemption instructions) without ever leaving the comfort of your own home or having to fight the crowds. Second, it's a gift that would definitely be useful. 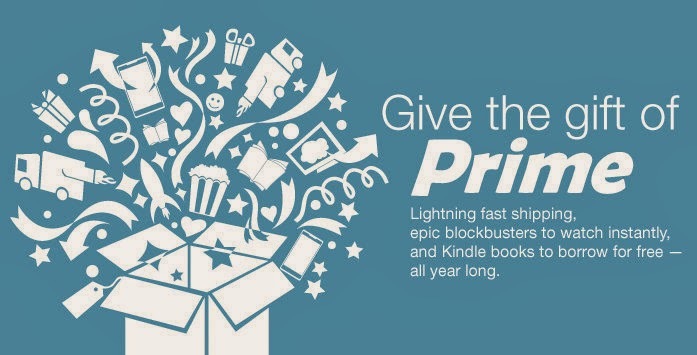 The gift of Prime is $79 for a one-year membership. If your recipient is already a Prime member, the gift can be exchanged for an Amazon.com Gift Card. Either way, something everyone can appreciate.